Commercial DVDs are protected by CSS region code which prevents you from playing the DVD movie on portable devices – it means that you have to take a DVD player with you since your Mac does not have DVD drive. Sounds very uncomfortable? Now you can make a change to convert DVD to AVI on Windows PC for loading to your portable device, media player, smart TV, game console, etc. Note: If your DVDs are unprotected, you can use the free DVD Rippers to convert your DVD to AVI format, such as Handbrake. AVI (Audio Video Interleave) is a multimedia container format introduced by Microsoft in November 1992. AVI files can contain both audio and video data in a file container that allows synchronous audio-with-video playback, and support multiple streaming audio and video. It’s a very popular format compatible with multiple devices. What about watching DVD movies in AVI format on your portable devices? Next is about how to convert DVD to AVI with Aimersoft DVD Ripper, a flexible tool to convert DVD to AVI or other various formats including MP4, MKV, M4V, MPG, WMV, FLV, VOB, etc. on Windows PC. The DVD Ripper combines DVD to AVI Converter with DVD to AVI editor. 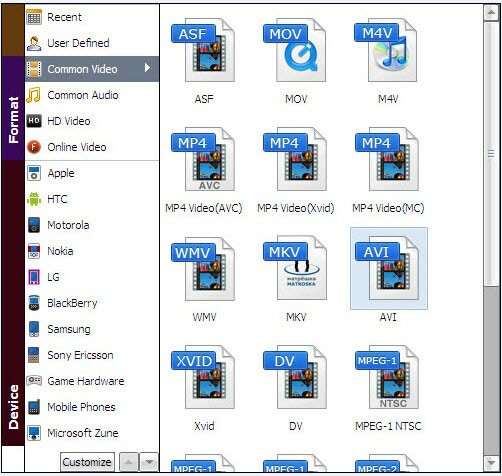 You can not only rip and backup DVD to AVI format, but also edit the video by cropping, trimming, adjust the volume and adding special effects. The program comes with extremely easy-to-use interface, perfect output video & audio quality, fast ripping speed, small size makes it fast to launch. This DVD ripper still includes additional features, such as the ability to decrypt DVDs, remove copy preventions, making disks unrestricted and region-free. It is the best choice for converting DVD to AVI. Besides, you can also convert DVD to AVI video on Mac computer with DVD Ripper for Mac (Free Trial). All DVD sources supported as normal DVD, commercial DVD, CSS, Region, RCE, Sony ARccOS and PuppetLock protected DVD, regions 1-6, etc. How to Rip and Copy DVD to AVI for different uses on Windows? After installation, run the program and insert the DVD disc into your computer’s DVD drive. Then click “Load DVD” to import the DVD files. ISO and IFO files are also supported. You can then choose the subtitles and audio tracks you prefer. Click “Profile” and select AVI as the output video format from the format list. You can then personalize the video parameters like resolution, bit rates, frame rates, etc. by clicking Settings if you’re not satisfied with the default settings. Meanwhile, click “Browse” to set a destination folder to save the ripped AVI files. For DVD fans, Handbrake is no stranger as a free DVD Ripping software. If you just rip unprotected DVDs now and then or have no special requirements like editing, adjust parameter for DVD Movies. Handbrake is quite qualified for Rip DVD to AVI as an DVD to AVI converter freeware. However, if your DVDs are encrypted by CSS, Handbrake is willing to help but unable to do so about this. For protected DVDs, the first thing you will need to do when ripping a movie DVD to AVI is remove the copy protection. Most discs use a variant of the Content Scrambling System(CSS), but many also use other techniques. Although some DVD ripping apps can bypass copy protection, they are not updated as frequently and aren’t always successful at defeating new copy protection schemes. 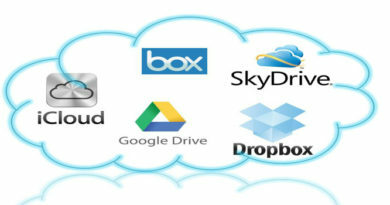 Your best choice , therefore, is to take use of Aimersoft DVD Ripper that are dedicated to the task. ← How to Put DVD Movies to Amazon Kindle Fire, Fire HD and Kindle Fire HDX? Sensible easy on the eye and easy to understand layout,easy to use tools, a no nonsense quick and simple DVD Rip software. Wow, superb program that provides dvd users with a simple means of ripping DVDs to AVI or various format types for backing up anf playing. It supports me ripping any DVD, ISO image and DVD folder on PC to, say, AVI, Xvid, Divx, MP4, MOV, FLV, WMV, etc. It is much more exciting when it comes to the time it takes to rip a DVD which is even less than fifteen minutes. Hi all, here every one is sharing these familiarity, so it’s good to read this weblog, and I used to pay a visit this webpage all the time. The DVD ripper does not require the user to be a computer geek. It has the ability to accommodate a newbie as well. It can convert any DVD format to my device into various supportable audio video formats that are usually in the Windows devices today. After ripping the DVD one can easily play it on any multimedia device. Aimersoft DVD Ripper is regarded as the best DVD ripping software on the market that provides movie lovers, children and people in any group with the easiest and fastest way to rip and convert DVD movies to AVI many other video and audio formats with high quality. Hello, i believe that i noticed you visited my website so i came to return the prefer? I’m attempting to in finding things to enhance my web site! I assume its good enough to make use of some of your concepts!! 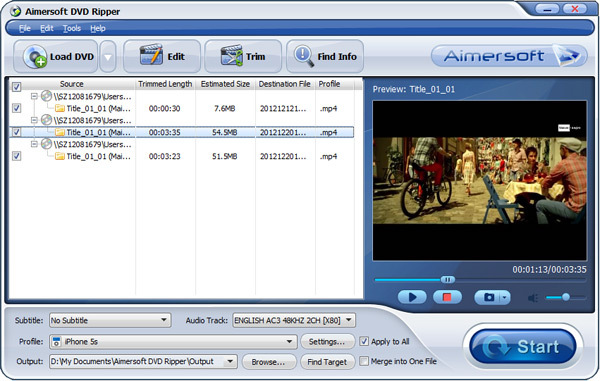 Aimersoft DVD Ripper has a comfortable interface. The interface is also simple and easy to understand. The DVD Ripper is good for me to rip a DVD to AVI format for streaming to my game console. Thanks! This software does all that I want it to do, powerful, and never scrap things. It’s amazing. I realy like this.